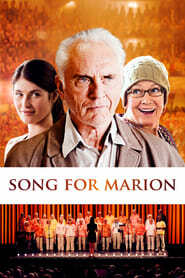 Arthur is a grumpy pensioner who can’t understand why his wife Marion would want to embarrass herself singing silly songs with her unconventional local choir. But choir director Elizabeth sees something special in the reluctant Arthur and refuses to give up on him. As she coaxes him out of his shell, Arthur realizes that it is never too late to change.